The new features include seamless curved glass windows allowing for a clear non-restricted view, bi-fold doors and lift up glass allow for full connectivity between the saloon and cockpit! Entertaining is now made easy with a new layout of the outdoor chill-box and BBQ area. The increased width in the saloon design gives more room to enjoy the open space complemented by a sky view glass window that has an internal sliding shield. 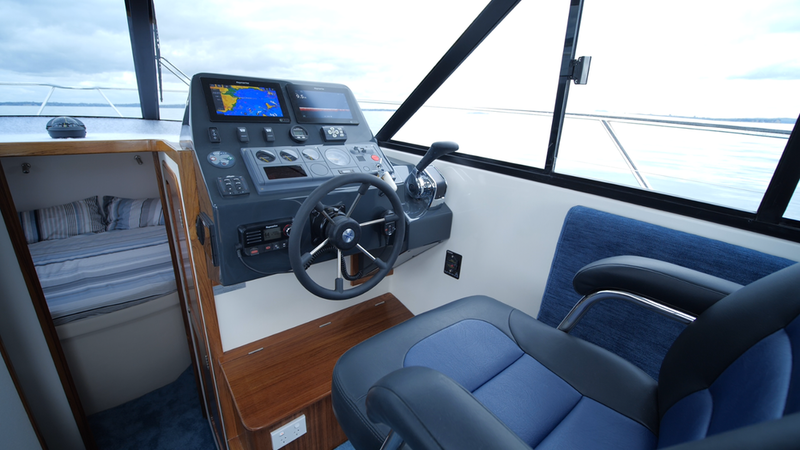 We have also increased the size of the dash helping to support the latest two Ray Marine Axiom 9-inch touch screens. Also added is the C Zone digital switching system, at one touch you can activate all necessary circuits based on your activities. 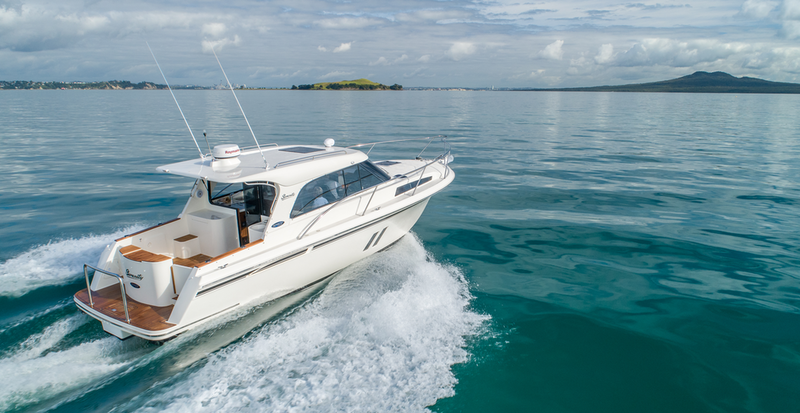 The Superior 1050 Sport Sedan reviewed in Pacific Powerboat magazine! Head to our FAQs to find answers to common questions or contact us directly.